Your fave pop stars are getting hacked! A hacker is targeting the biggest music videos on VEVO and has even deleted the most viewed music video of all time, Luis Fonsi's 'Despacito' which had over 5 billion views! 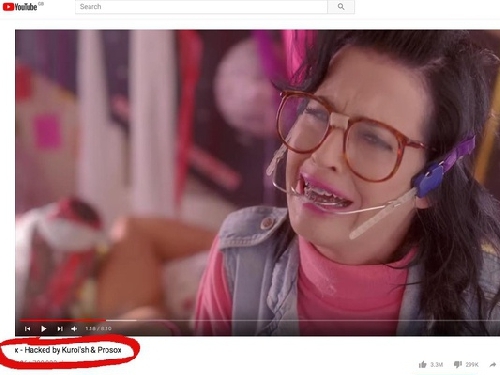 Selena Gomez, Adele and Katy Perry have been hit, with their videos remaining live but their titles changed to 'hacked by prosox'. Drake, Naughty Boy and Shakira are also said to have been targeted, who knows who else will be next!